Martha Johnson, 73, makes calls reminding locals to vote in the upcoming midterm election at the Democratic Field Office in Brunswick, Georgia. Photo by Emma Bolton. The Democratic Field Office in Glynn County, Georgia was jammed with folding tables and mismatched chairs. 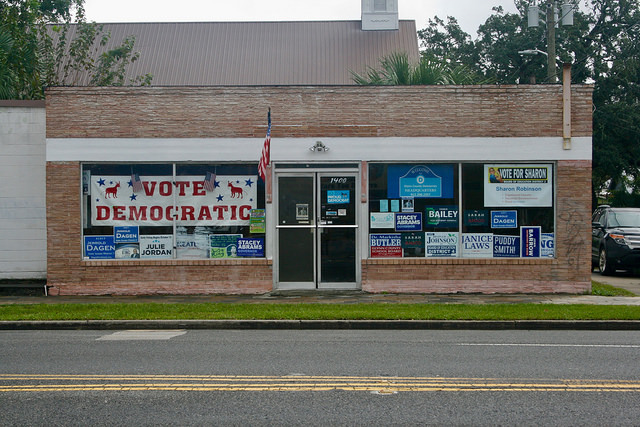 The walls and windows were covered with the campaign signs of the eight local Democratic candidates and ones emblazoned with the Abrams-Amico ticket. Beneath a banner reading “Our Great Eight Candidates” Martha Johnson, 73, was working for every vote. 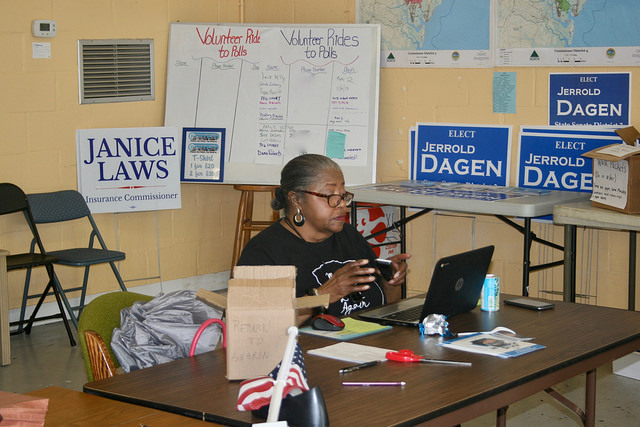 Despite heavy rain in the area, she still showed up at the Democratic field office in Brunswick, Georgia to phone bank for Stacey Abrams, the first African American female candidate for governor and other local candidates. She did not break focus from the job at hand. Johnson’s prior involvement in the campaign efforts were through social media, but she recently made the commitment to phone bank at the field office because she was incensed by the Republican candidate for governor and current Georgia Secretary of State, Brian Kemp’s alleged attempts to suppress Democratic votes. In recent weeks, national attention focused on the governor’s race in Georgia because a controversial, “exact match” law that passed a year ago has 53,000 voters’ registration status on hold. In what appears to be a major conflict of interest, Kemp is responsible for state elections and voter registration records as Georgia’s Secretary of State, while he is actively campaigning to be governor. Abrams has made encouraging voting a priority throughout her career, but has ramped up get out the vote efforts following Kemp’s acknowledgement he is concerned about voter turnout on the democratic side. Abrams appeared alongside Common and cicil rights icon Andrew Young to express the importance of voting, especially in this election. Photo by Emma Bolton. 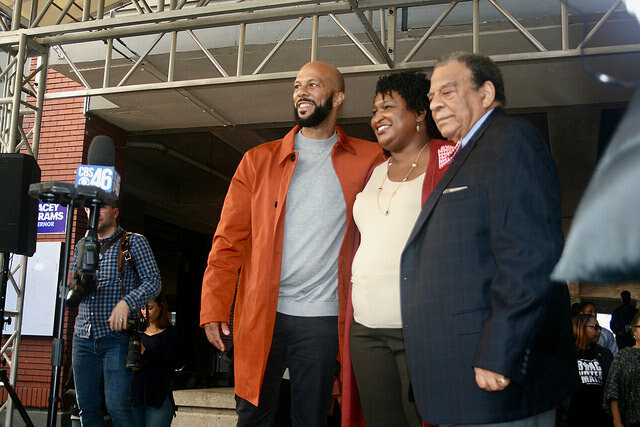 At a recent ‘Souls to the Polls’ rally in Midtown Atlanta, Abrams brought civil rights icon, former UN ambassador, former Atlanta Mayor and former congressman, Andrew Young, as well as actor and rapper, Common to rally and march to a local polling place, highlighting the importance of voting. In South Georgia, the Glynn County Democratic Party Co-Chair, Audrey Gibbons said that getting every potential voter in her area to the polls was crucial to Abrams’ strategy for winning state wide. Similarly in North Georgia, the Lumpkin County Democratic Party Chair, Ken Akin encouraged volunteers to keep organizing by touting how successful they had already been in increasing voter turnout in the area. In Northern Georgia, the Lumpkin County Democratic Party held a get out the vote rally in tandem with the Democratic National Committee and the Georgia Democratic Party. 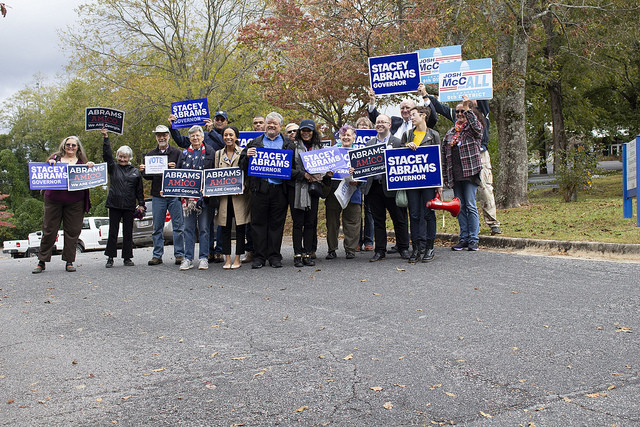 They marched from the town square in Dahlonega to a local polling station to campaign for Stacey Abrams and other local candidates. Photo by Maggie Garred. Chairman of the Georgia Democratic Party, Dubose Porter attended the rally on Saturday with the Lumpkin County Democratic Party and representatives from the Democratic National Committee in Dahlonega to inform voters about early voting opportunities. It was one of many get out the vote events happening simultaneously across the state. 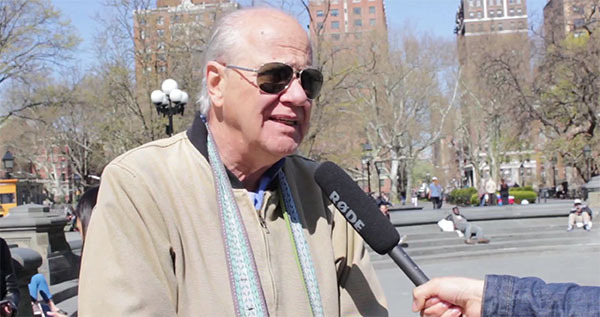 Porter stressed that the stakes in the election were extremely high. He pointed to Abrams commitment to expanding Medicaid, investing in public education and pushing for diversity as reasons she needed to be elected. Although voter purges and exact match laws threaten Abrams’ strategy to win by encouraging historically non-voting populations to vote, Glynn County school board candidate, Regina Johnson, was optimistic that efforts to expand the Democratic voter pool could still turn the state of Georgia blue. Johnson said Abrams had come to Brunswick’s First African Baptist Church to speak with the community about being civically engaged and educated about issues on the ballot three years prior to running for governor. She saw that long term investment from Abrams as an asset for local candidates and volunteers as they work to get out the vote in 2018 Midterms. The Democratic Field Office in Glynn County is right in front of First African Baptist Church, where Stacey Abrams spoke to congregants three years ago about the importance of being civically engaged. Photo by Emma Bolton. Martha Johnson was optimistic that people had responded well to Abrams’ message and had taken the time to vote early after a few hours of making calls to Glynn County constituents. Great reporting, Emma. Thanks for the visit to Dahlonega. Good to meet you and Maggie. The best to you as you embark into a wonderful career.